Lynn was such a help! She troubleshoots quickly and effectively and communicates all major changes or needs. She was amazing! This is such a great team to work along side. I run a Mobile Bartending company and had the pleasure of serving at an event with these ladies in Los Gatos. First of all, they were just very sweet and kept us very informed both during planning stage of event and day of ( so important when you are involved in someone's big day!) In addition to that, these ladies definitely helped the event run very smoothly and it ended up being a gorgeous wedding. Our Client was very pleased. From both the vendor perspective and the client's view I highly recommend Magical Moments for their event planning expertise and great communication!! Our experiences with Magical Moments were Fantastic!! From our first meeting to the last goodbye after the wedding reception of our daughter, Nicole and Lynn were thorough, professional, offered the best tips I've heard of (and I have been an event planner myself at a college), and they were always pleasant with a great can-do attitude!! 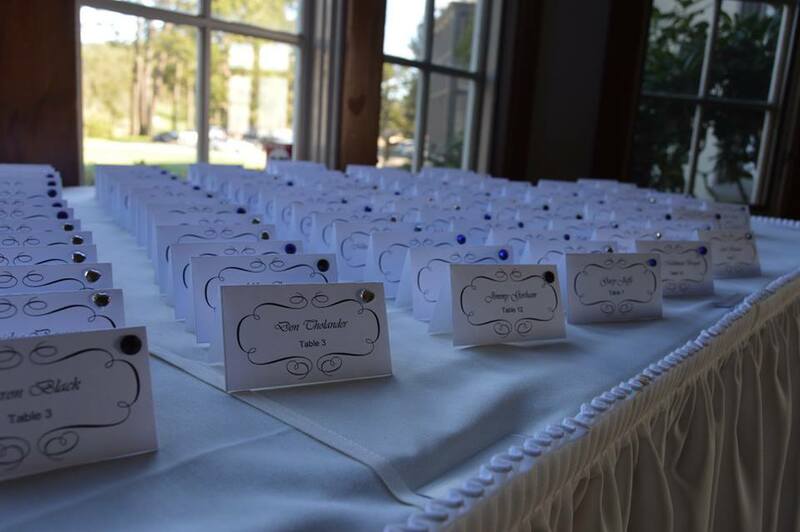 I felt so secure knowing that we would not forget anything that we wanted for the reception, and that they would do all the set up and much of the clean up for the event. My strength is limited now, so having them from the get-go, to the very end, and that they knew exactly what we wanted -- was very, very reassuring. And they came through with flying colors, and exceeded every expectation! I highly recommend Magical Moments for anyone's event, of any kind!! Easily one of the best things we paid for on our wedding day. We never had to worry about the small details and they made sure everything was handled. They hung in the background and made everything go off without a hitch, even with the unexpected rain. Amazing ladies! Absolutely loved working with these two! I have worked with a lot of vendors and Magical Moments stands out! Lynn did an amazing job for my sister's baby shower. I am not an event planning person and if it wasn't for Lynn doing everything thing she did the party would not have turned out as amazing as it did. Thank you so much for the wonderful job you did and look forward to working with you for future events. Smokin' Yankee's BBQ Catering, had the opportunity to work with this delightful group from Magical Moments nearly a month ago at a very special wedding in Modesto, and I couldn't have been paired with a better company to work with than them! They were welcoming to me and my crew once we arrived on site, helped us navigate the venue and assisted us with plating the head table. SUPER friendly, informative and helpful. Wish we could work with them at every job! Seriously a breath of fresh air! Thanks a bunch from the SY BBQ Crew! About a month before my wedding I got concerned about actually executing all of the details day-of. I really just wanted myself and all my friends and family to enjoy themselves so I started looking for a day-of wedding coordinators and came across Magical Moments. From the moment I talked to Nicole I became so much less stressed about the wedding. She was very organized and prepared and told me what information she needed and then just took over coordinating the details. She was very thorough and responsive. I had worked up a pretty detailed outline for the day already but we walked through it together and Nicole made some really great suggestions as to how to make the day flow better and keep things on track. Nicole and Lynn drove from Manteca to El Cerrito both for our rehearsal and the day of the wedding. It was so nice to have them there for the rehearsal. Not only did it allow us to talk about all the details that I wanted executed for the wedding, they also completely managed the rehearsal itself and were fun but also kept us on track so we could get to our dinner on time. Day of, I hardly even saw them but everything went exactly as I wanted it to. It was so great to just walk into the reception room and see all the tables set up exactly as I had imagined but without having to ask my friends to do it. They also really went above and beyond. During the wedding one of the heaters I had rented for the outdoor cocktail hour didn't work. After the wedding, Nicole took it upon herself to call the vendor about the issue and get us a refund. Imagine, being on your honeymoon and finding out your day-of coordinator is still working for you, it was really great. Nicole and Lynn are wonderful to work with and I couldn't recommend them any higher for someone who is looking to take a little stress of themselves on the day of the wedding so you can just enjoy. Our wedding was on 4/26/15, and having Nicole and Lynne there made it a seamless day for my new husband and myself. I gave them a general idea of what I was thinking, and they took my vague suggestions and turned them into something cohesive, quirky, and beautiful. I forgot to pack some important things - like my entree selection tags and the bags for my favors - but these ladies took everything in stride, and no one knew or felt any hiccups, they handled the situation so deftly. I encourage you to consider them for your event - they made the day so much less stressful (and so much more successful), and it will be one I will always remember. Thank you, ladies! 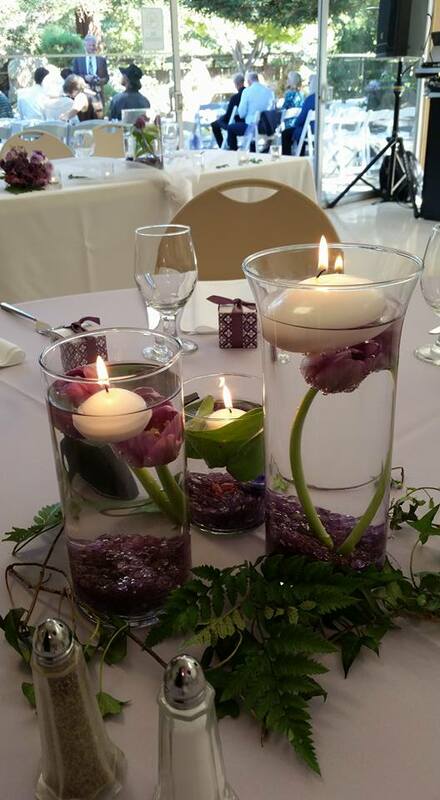 I was a guest at a wedding coordinated by Magical Moments. It was beautiful, romantic, and wonderful. Just as a wedding should be. The Magical Moments team coordinated everything from the ceremony to the reception and all aspects in between. Even though the reception room was quite large, Nicole and Lynn did an amazing job making the space feel warm, friendly and inviting. I had the opportunity to talk with them both during the celebration. They were incredibly pleasant, calm, organized and entirely in control of the fun filled event. Their enthusiasm for a job well done was evident to all..
I’ve worked with Lynn on fundraising events and she is always on top of her game. She is very detail-oriented and always has answers to every question, including my financial ones. My husband and I had the privilege of being invited to a private family event that she and Nicole coordinated, and it was beautiful! We had a great time and I wholeheartedly recommend Magical Moments for coordinating your special event. You will undoubtedly be pleased and able to enjoy your special day without worrying about the details…Lynn and Nicole will have it all under control! I have known Lynn for about 6 years now. We have worked on may fundraising events for Sierra High together. In the last year I have had the privilege of working with her and her daughter Nikki on 3 weddings. Each wedding presented its own challenges, from bride supplied vendors not showing up on time or with the right stuff to brides that wanted the world with a small budget. Each time the ladies were able to pull off amazing events. When there were problems they handled them without bothering the bride, as it should be. As a venue owner I am looking at more than the wedding decorations. I look for a wedding planners ability to visualize the space and to handle all of the details. Lynn and Nikki did just that and more. When people ask for wedding planners I recommend Lynn and Nikki because I know the couple will be well taken care of. I have know Lynn n Nikki for almost 24 years. I've worked closely with Lynn on numerous fundraising events over the years for Nile Garden School community club, Sierra High School booster club, n Sierra High School Sober Grad. Lynn is very organized n very detail oriented on everything she has ever done. It's always a pleasure to work together n be able to consider her n Nikki good friends from all the events we have worked on together over the years. You can always count on them if they say it will be done no worries it's taken care of. I was beyond happy to work with Nicole and Lynn!!! As a wedding photographer it's amazing to come across such an amazing and attentive team. 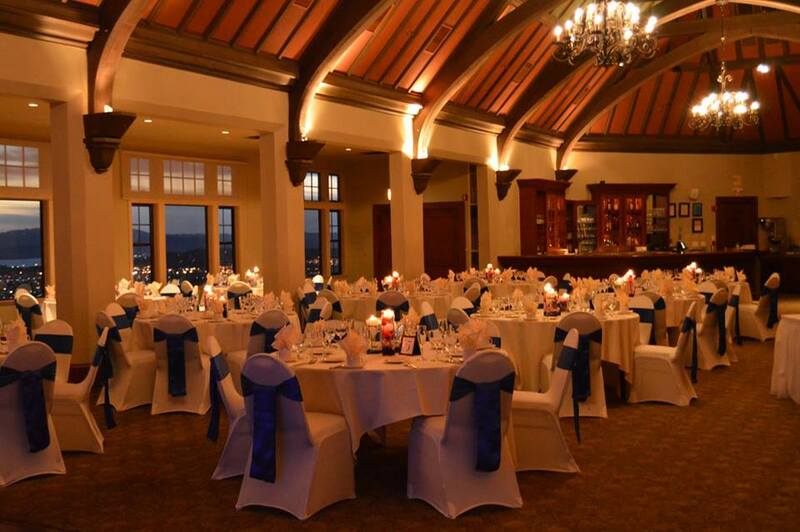 We recently had the amazing pleasure of working with the Magical Moments team at a reception in Oakland Ca. It's important for me to stay on track with a timeline and these amazing ladies made it so much easier on us! Not only did we stay exactly on track, but they also gave me a heads up and guidance when I could steal a little extra time in the timeline for photos (which we photographers always love!) The decor was absolutely beautiful and ready for me to capture when I arrived, and they were hard at work completing finishing touches. If I could steal them for every wedding I would! Thank you so much for not only keeping our beautiful bride happy, but supporting me and all the other vendors to ensure it was a MAGICAL MOMENT!